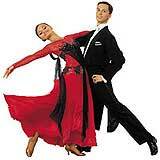 Fees & Terms: Broadway Dance Studio offers professional and fun Ballroom, Latin & Salsa classes. Please arrive 10 minutes early on the first night of term to complete enrolment before class starts. We have special bridal lessons / private lessons. Four 45 minute lessons for $320. If you need to cancel your Private, Advanced Group or Bridal lesson, 24 hours notice must be given, otherwise the fees must be paid. All teachers are qualified professionals with extensive competition experience. All Group Classes are purchased in terms of eight (8) consecutive weekly lessons. Each term follows a structured teaching program, with the skills taught & learnt in any one lesson, building on the skills taught & learnt in the preceding lesson. Please make every effort to attend all lessons in a term. Please choose carefully as refunds or credit are not given for missed lessons. In the event circumstances prevent you from attending any given lesson, please send a text message in advance of missing that lesson, to 0414 987 417, advising your name & which lesson you will be missing. This helps our teachers prepare for their lessons. If you have already enrolled & paid in full for the next term, you can also make up any missed lesson during that next term in the above same 2 ways. Experienced (i.e. Advanced / Intermediate level) students who know in advance they will be absent for 3 or more consecutive lessons (e.g. away on holidays or work-related travel) may, by making prior arrangements with the Studio Manager, pay for only the weeks they will be attending class. Ph: 9460 0321if this applies to you..
All scheduled lessons normally continue uninterrupted, including on Public Holidays. Discretion, however, is always held by the Studio in the very rare event a night of classes may need to be cancelled.